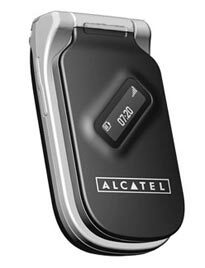 Manila Bulletin reviewed Alcatel OT-C651 mobile phone, comes with 65K color screen and 4.5 MB internal memory. With dimensions of 90 x 48 x 24 mm when folded up and weighing only 92 grams, the small phone boosts polyphonic ring tones, a phone book for 500 entries with photo call, the usual games, vibrating alert, to-do list and voice memo. Manila Bulletin concluded that the impression is that they tried to cram everything into this tiny device. Still, they think the Alcatel guys will try to market this phone to the younger, stylish set. With its looks, design, animated sounds and graphics, you will surely not be ashamed to carry this phone around town, and have a fun time besides!